Cheap Car Insurance Edmonton, Compare Lowest Quotes & Save! Getting Cheap Edmonton Car Insurance Quotes Is Easy! All drivers want cheap car insurance in Edmonton. Saving money is important, especially with rising insurance costs. We work with Edmonton drivers to help them compare quotes, save money, and get the best coverage. 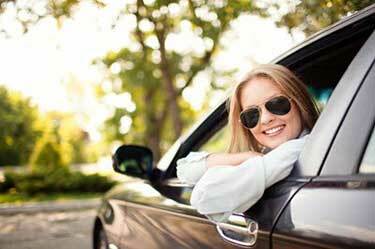 Getting auto insurance in Edmonton doesn’t have to be complicated. Why Get An Edmonton Auto Insurance Quote From ThinkInsure? Shopping for car insurance quotes in Edmonton? We make comparing insurance coverage and getting the best rates as simple as possible. Learn why Edmonton drivers choose ThinkInsure as their preferred insurance professional. Save money : We help you keep more money in your pocket. Save hundreds of dollars per year on car insurance coverage. The cheapest rates : We compare quotes from the top Alberta car insurance companies. Get the cheapest rates and the lowest quotes. The best coverage : Choose from a large selection of auto insurance coverage options. Get the coverage you need for your vehicle. Personalized service : YOU are our top priority. Get the person service you expect. Our insurance experts go above and beyond to ensure your needs are met. Get The Cheapest Auto Insurance In Edmonton – Compare Quotes Today! Comparing quotes is quicker and easier than you think. In fact, it can be as simple as 1-2-3. Simply start a quote online, fill out your driving and vehicle information, and choose a quote. You get the coverage you need at the cheapest rates in minutes. Getting cheap car insurance can really be that simple. Compare Edmonton car insurance quotes online. Or call toll-free 1-855-550-5515 and we will be happy to compare the cheapest quotes in Edmonton for you. The continued growth in population and vehicles on the road make driving in Edmonton a challenge. Alberta’s capital city, nicknamed the “Gateway to the North,” is one of Canada’s fastest growing. With close to 1 million residents in the city and about 1.8 million people in the metro area, grid lock, congestion, and delays is part of daily driving. But whether you are commuting to work, heading to the West Edmonton Mall for some shopping or Rogers Place to catch an Oilers game, it’s important to have a car insurance policy you can rely on. At ThinkInsure, you can quickly compare Edmonton car insurance quotes and get the cheapest rates. We’re dedicated to helping you get the coverage you need at the lowest rates. Is There Mandatory car insurance in Edmonton? All Edmonton drivers are required to have auto insurance. Drivers are required to have a minimum amount of $200,000 in third party liability coverage. Without this coverage you will not be able to register your vehicle in the province. Drivers in Edmonton can get optional car insurance coverage from any Alberta car insurance company. The vast majority of drivers have auto insurance that is above the minimum requirements. Most drivers have $1 million in third party liability coverage. Many drivers also have collision or comprehensive coverage. Insurance rates for mandatory insurance coverage are determined using the grid rating system. Most Edmonton drivers do not pay grid insurance premiums. New drivers and young drivers are often capped by the grid system. This helps them keep insurance costs down. Increase your third party liability coverage : With Alberta having the highest amount of weather related claims, it’s important to make sure you have enough liability coverage. Get comprehensive coverage for added protection : The rise of vehicle theft and vandalism make it worth considering getting comprehensive coverage. Get windshield coverage : The frigid temperatures, flying stones from trucks, and weather conditions often lead to windshield cracks and the need for replacement. Windshield coverage reduces your out of pocket costs. Edmonton car insurance costs vary from driver to driver. Car insurance rates are determined using many factors, including the grid rating system, where you live, age, driving experience, vehicle type, driving record and more. Speak with an Edmonton car insurance expert to compares car insurance quotes. What Is The Average Premium For Auto Insurance In Edmonton? The average price for auto insurance in Alberta is about $1,250 per year. Due to the size of the city, traffic volume, number of drivers, and increased risk, most drivers in Edmonton pay more than the average premium. Why Is Car Insurance In Edmonton So Expensive? Large cities typically have higher auto insurance rates. Car insurance in Edmonton is more expensive than other areas of Alberta because there are more vehicles on the road. This results in more accidents and more claims. Theft, claims costs, fraud, and other factors continue to drive up rates. How Do I Get Cheap Car Insurance In Edmonton? Shop around : Compare cheap quotes with our insurance experts. Drive safe : Keep your driving record clean. Choose your vehicle wisely : Choose a vehicle that is insurance friendly. Ask about discounts : You may qualify for a number of insurance discounts. Use winter tires : You will qualify for an insurance discount. 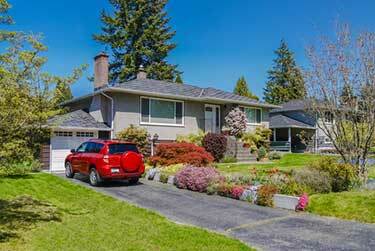 Bundle coverage : Combine your home and auto insurance coverage for additional savings. Driver training : Completing a driver training program will help new drivers lower auto insurance rates. Why Work With A ThinkInsure Car Insurance Expert? Access : We have access to coverage options. Get quotes from multiple insurance companies in Alberta from one broker. Ease : Insurance brokers make comparing quotes easy. You provide your information, they compare quotes, rates, and coverage. Advice : We work for you. They provide expert insurance advice to help you make educated insurance decisions. Assistance : We can help you with more than quotes. They can answer questions, help with insurance claims and advocate for you. Looking to get a quote for certain car insurance coverage? Our insurance experts can help you compare all types of coverage. Whether you have questions about basic coverage requirements or want to compare your options to add to your current coverage, we can help. Need a quote for a specific type of car insurance coverage? Compare car insurance quotes in Edmonton. We are only a call away! Step 1 - Click To Start : Click to start your online Edmonton car insurance quote. Step 2 - Enter Your Information : Enter your driver and car information. Step 3 - Choose The Lowest Quote : Select the best coverage and best rates. Call : Give us a call at call toll-free 1-855-550-5515 and speak directly with our Edmonton insurance experts. No two drivers in Edmonton are the same. Neither is the types of vehicles they drive. We offer coverage for all types of cars, trucks, SUVs, Recreational vehicles, and more. Get insurance coverage for all types, makes, and models of vehicles, including classic cars. Learn more about your car insurance options. We offer recreational vehicle insurance for motorhomes, campers, ATVs, boats, and more. We help riders just like you get motorcycle insurance coverage for your bike. This includes coverage for mopeds, scooters, and Vespa’s. Are you an Uber driver? 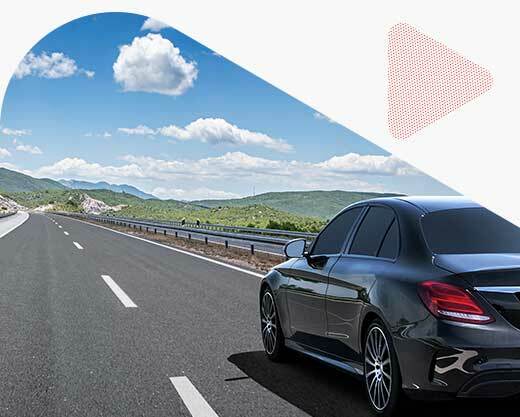 Get standard Uber insurance coverage through Intact insurance. We offer more than personal auto insurance in Edmonton. We offer commercial auto insurance for Edmonton businesses. Get coverage for cars, trucks, vans and trailers you use for business purposes. Are you a student? Attend the University of Alberta, MacEwan University, NorQuest College, or another school in the city? 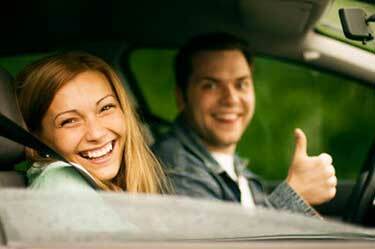 We help young drivers get affordable car insurance coverage. Bundling home and car insurance in Edmonton is a great way to save. We offer a variety of home and auto insurance bundles to help you get the best car insurance rates. What Can I Do To Lower My Car Insurance Premiums In Edmonton? Compare quotes : At ThinkInsure, our team can compare quotes and coverage from the top insurers in the province. This means you have more options to save and more options to find the coverage you need. Shop around : Lowering your auto insurance premiums can be as simple as shopping around. Don’t let your policy automatically renew without exploring your options. Check insurance rates before your policy renewal : Comparing Edmonton auto insurance rates before you renew your policy allows you to take advantage of the latest rates and discounts. At ThinkInsure, we’ve partnered with the best car insurance companies in Edmonton. If you look at the Edmonton car insurance reviews you’ll see we can get you covered from the top insurers in Edmonton. Some of our insurance companies include Aviva Canada, Economical Insurance, Intact Insurance, Travelers and many more! All drivers want to know how much car insurance is going to cost. It’s one of the main reasons so many Edmonton residents compare quotes and calculate potential cost savings. An Alberta car insurance calculator will help you estimate your rates before you choose your policy. This can be helpful when shopping for a new vehicle, adding a new driver to your policy, and when adjusting your coverage limits. At ThinkInsure, we’ll help you calculate and compare quotes to help you understand your insurance costs and save. Now the fifth largest municipality in Canada, and the second largest in Alberta, there is no shortage of drivers in Edmonton that need insurance. Be alert on major roadways : Be on alert for traffic congestion on Kingsway, Yellowhead Trail (Highway 16), Whitemud Drive and Anthony Henday Drive. They are among the busiest roads in the city. Invest in winter tires : It snows frequently in the city and the snowy seasons lasts longer than most cities. Invest in a remote car starter : Temperatures can dip well below zero. A remote starter allows your car to warm up. Drive safe near bike routes : Watch out for cyclists when driving near the Downtown Bike Network. Use Edmonton’s ring road : Anthony Henday Drive makes it easier to get around the city and avoid congestion on other main streets. Avoid the city’s busiest intersections : 50th Street and 112th Ave and 111th Street and 51st Ave are regarded as the two busiest intersections in the city. 111th Street and 23rd Ave, 111th Street and 34th Ave and Stony Plain Rd and 142nd Street are also areas to avoid, especially during rush hour. Check the traffic conditions before driving : Drivers can use edmontontrafficcam.com to check out live feeds on traffic cameras. SUVs and trucks are popular : Similar to other cities in Alberta, over three quarters of the vehicles on Alberta roads are SUVs or trucks. Edmonton is no different. The number of drivers is on the rise : There are about 700,000 licensed drivers in the Edmonton region. This number has continued to rise every year since 2012. Highway congestion : Edmonton has some of the most congested highways in Canada. This is due to the cities accelerated growth. Long commutes : Edmonton drivers can expect commutes that are comparable to other large cities in the country. The average driver spends more than 25 minutes (one way) to get to and from work. This is on par with the commute in Calgary. Residents prefer to drive : The city has one of the proportions of public transit use at just 11.3%. Only Quebec has the lowest out of the large cities. Toronto has the highest at 24.3%. Vehicle theft is an issue : About 12 cars are stolen per day in 2017, there were more than 4,400 vehicles reported stolen in the city. Collisions on the rise : There were close to 24,000 collisions in Edmonton in 2017. Total collisions increased by 3.3% from the previous year. Fridays have the highest number of collisions on average. Sundays have the fewest. When Should I Shop For Car Insurance In Edmonton, Alberta? You can shop for car insurance anytime! It’s a good idea to compare quotes when your policy is up for renewal, when getting a new vehicle, and when making changes to your policy. Can I Get Temporary Car Insurance In Edmonton? No. You cannot get temporary car insurance in Edmonton or throughout Alberta. Some insurers offer 6 month policies. The standard is a one year policy. How Are Car Insurance Rates in Edmonton Determined? Rates are set by the Automobile Insurance Rate Board (AIRB) and the Office of the Superintendent of Insurance. These parties regulate auto insurance in Alberta. Can I Get Edmonton Classic Car Insurance From ThinkInsure? Absolutely! We’ll happily help you get insurance for your classic ride. Whether you have something classic, vintage, or antique, we’ll make sure your baby is covered. Is ThinkInsure Open Saturday For Car Insurance in Edmonton? Yes! ThinkInsure is open every Saturday from 9am to 5pm to help you with all your insurance needs. Is ThinkInsure Open Sunday For Car Insurance in Edmonton? No. The ThinkInsure offices are closed on Sundays. We are happy to help you with all your car insurance needs during our regular service hours. Can I Get Commercial Auto Insurance in Edmonton with ThinkInsure? You bet you can! We can help you with all your commercial auto insurance needs. We can get you auto coverage for your small business. How Does Auto Insurance In Edmonton Work? To operate a vehicle in Alberta, you are required to purchase auto insurance through a private insurance company. Compare quotes and choose a policy that reflects your driving needs. How Can I Get The Cheapest Car Insurance in Edmonton? Edmonton drivers can get cheaper car insurance by being proactive. Be sure to compare quotes regularly, inquire about discounts, increase your deductible, and maintain an accident and ticket free driving record. These factors can help you get the cheapest car insurance in Edmonton for your situation. ThinkInsure takes pride in helping people save on their car insurance and keeping our roadways safer for everyone. 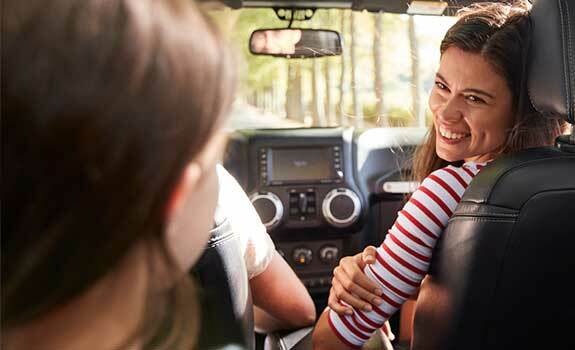 We update our site regularly with information and tips on insurance savings, driving safety, news and much more for Alberta and Edmonton drivers. We make getting Edmonton car insurance quotes easy. Get an online car insurance quote today. Simply fill in your information on our online car instance quote tool to get started. Compare rates, coverage, and save on car insurance premiums. Compare Edmonton car insurance quotes online to start saving. OR call toll-free 1-855-550-5515 and a ThinkInsure expert will be happy to compare the cheapest quotes in Edmonton for you.